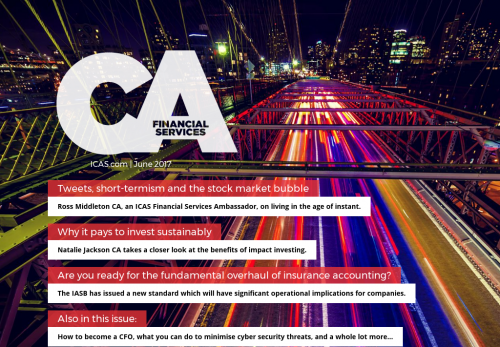 Ross Middleton CA, an ICAS Financial Services Ambassador, on living in the age of instant. Natalie Jackson CA takes a closer look at the benefits of impact investing. Are you ready for the fundamental overhaul of insurance accounting? The IASB has issued a new standard which will have significant operational implications for companies.